There have been mixed reactions to events at the appeal hearing for Slobodan Praljak. A war crimes tribunal in The Hague upheld a 20-year sentence for the wartime outcommander of Bosnian Croat forces. Some former prisoners of war said justice had only been partially done. "Maybe the sentences should have been higher, but in general, it's okay. We want to close this chapter, finish this off. This was a sentence for perpetrators of war crimes, not for whole Croat people. I have so many Croat friends..." said Ibrahim Badzak. "All of us who had been in camps, we expected at least the confirmation that this was a joint criminal enterprise, and not only the verdict against him (Slobodan Praljak) but all the men who carried out certain policies", added Emir Hajrovic. 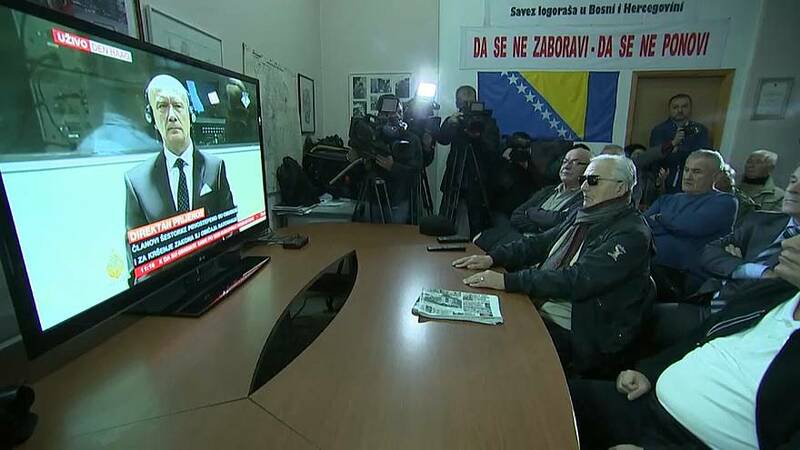 While the outcome condemned Praljak once again, the Head of the Croat War Veteran Association, Miro Sunjic, predicted little would change moving forward. "This verdict will not lead to reconciliation and future among peoples in Bosnia and Herzegovina. And as for the Hague court, it should be accused of being a joint criminal enterprise itself." Set up in 1993, the tribunal has convicted 90 of 161 suspects.